Bloo 'n' Stuff: *CLOSED* Bloo 'n' Stuff Giveaway! 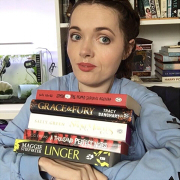 Welcome to my first blog giveaway! I've been wanting to do a giveaway for a long time so I'm excited to be finally getting around to it. This post is just to give you a closer look at the prize and tell you how to take part. Don't worry though, I've decided to keep it simple. (Skip to the bottom if you're just interested in knowing how to take part). But first, here's what's included in the prize. 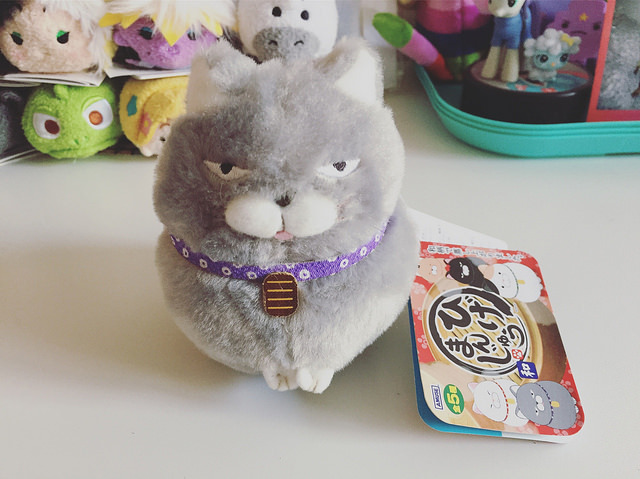 I picked up some adorable items from one of my favourite stores, Tofu Cute. Most of them are cat related, apart from one. 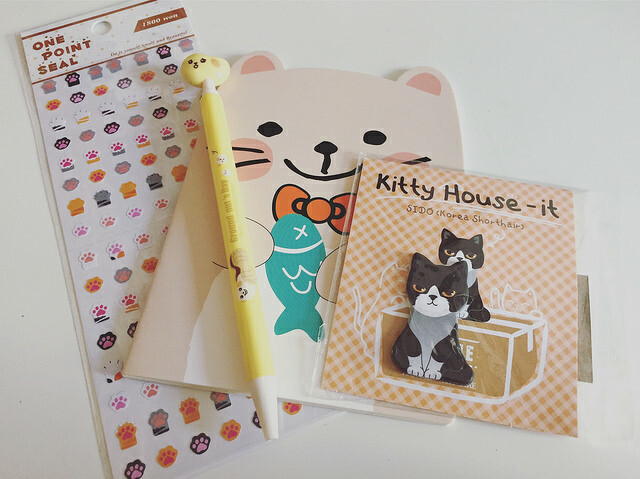 Being a toy blogger, I couldn't resist getting the adorable kitty keychain plush and since most of my readers are also bloggers, I picked up some stationery items. Can a blogger ever have too many pens, stickers or notebooks? Can anyone for that matter? Especially when they're that cute. 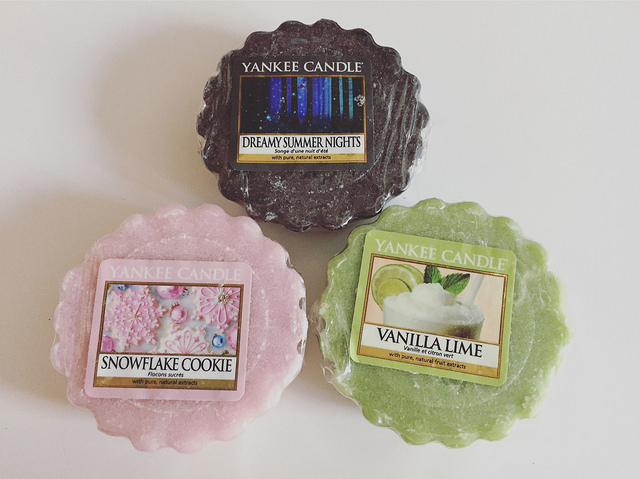 I also picked up some wax tarts from Yankee Candle. I often use wax burners instead of candles as I find them a little safer. I bought two of my favourite scents to share with you and a third one that I hadn't seen before that may become a future favourite of mine. 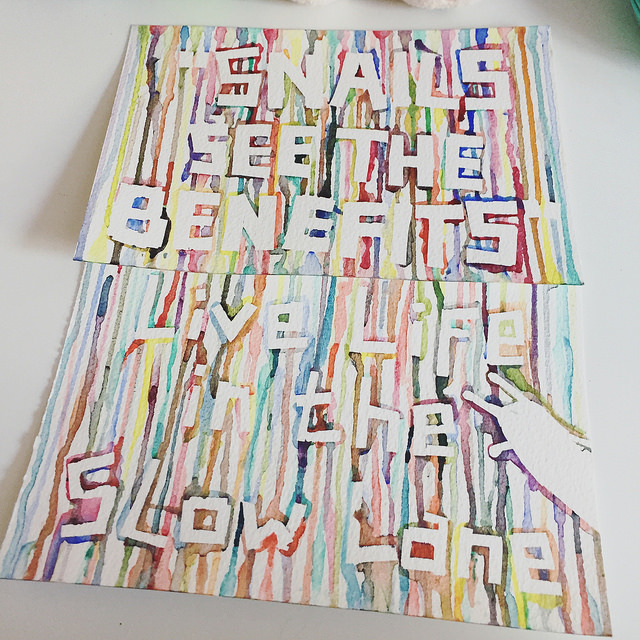 Finally, since I couldn't find any snail related items that I liked enough to include I decided to make my own. I painted these three watercolours in my favourite drippy style. One is postcard size and the other two are A5. 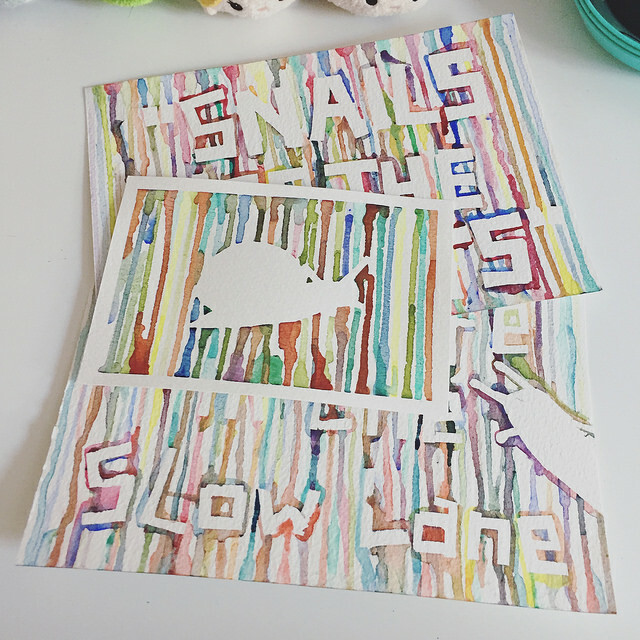 The A5 watercolours have quotes on them and the postcard has a picture of a snail. I had a lot of fun making these and it's actually made me think about opening my Etsy store again. I hope you guys like the look of everything I've included. 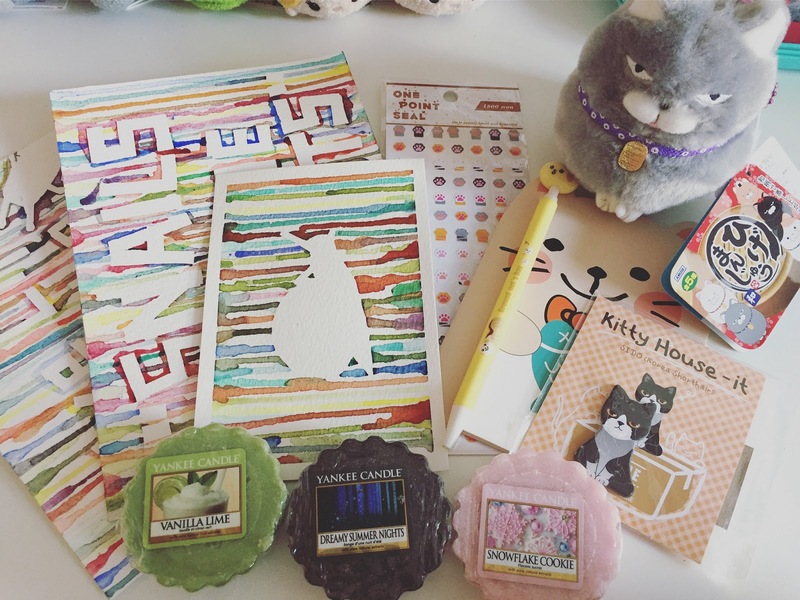 I tried to pick items that I felt related back to my blog and me in some way too. Now the important part, ways to win! - Follow me on Twitter and ReTweet (not quote Tweet) my pinned Tweet. - Like my Facebook page and like and share my pinned status. - Follow my Instagram, like this photo and regram it tagging @bloonstuff and #bloonstuffgiveaway. You may do all three of those things to be in with an extra chance. This giveaway is open internationally and it will close at 9pm on 04/11/2016. The winner will be picked on Saturday by all usernames being put into a hat and one being picked at random. I think that's just about everything. If you have any questions or think I've forgotten anything, please feel free to ask them in the comments or message me on your preferred social media. Good luck and don't f*ck it up!